Lionel Messi-led Barcelona will take to the field against Huesca in the La Liga on Saturday. In their previous match, the Catalan giants displayed another masterclass against Atletico Madrid to open up an 11-point lead at the top of the points standing. Huesca are trying to avoid relegation as they are currently placed at the last position, six points behind Real Valladolid, who are in the 17th position. When will the Huesca vs Barcelona match take place? Where will the Huesca vs Barcelona match take place? The match will take place at Huesca’s home stadium. Which channel will broadcast the Huesca vs Barcelona match? 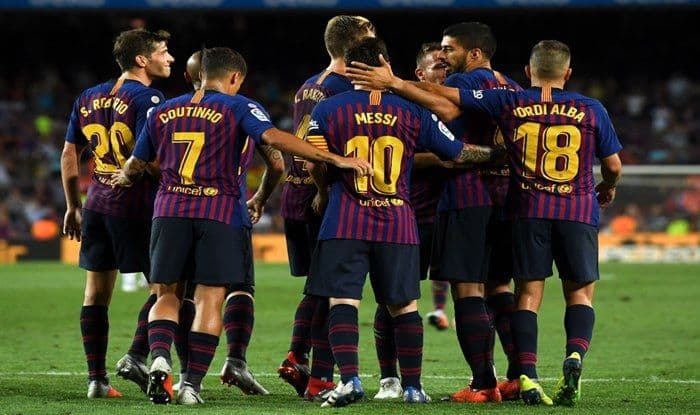 Where can I watch the Huesca vs Barcelona match online?